Value is the name of the game in the compact sedan segment and the Toyota Corolla is a worldwide best seller. An affordable price, a smorgasbord of standard features and efficient fuel-economy ratings make the 2018 Toyota Corolla near Bangor, ME a fan favorite at Downeast Toyota. With an athletic style that goes hand in hand with a fun-to-drive powertrain, the Toyota Corolla will take your day-to-day commute to the next level. Toyota Corolla models are available in six well-equipped trim levels – L, LE, LE Eco, XLE, SE and XSE – that start at just $18,550. 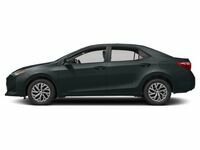 With room for five passengers and an impressive 13 cubic feet of cargo space, the 2018 Toyota Corolla is perfect for your day-to-day drive or family road trips. At the heart of the Toyota Corolla cabin, you will find a Toyota Entune infotainment system with a 6.1-inch touchscreen, Bluetooth capabilities and an integrated rearview camera. 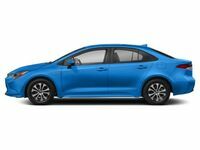 What Are the 2018 Toyota Corolla Engine Specs and Features? 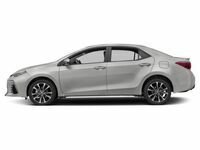 When you get behind the wheel of the 2018 Toyota Corolla near Bangor, ME, you will enjoy the mechanical machinations of a 132-horsepower 1.8-liter four-cylinder engine that is paired with a standard Continuously Variable Transmission. With this combination under the hood, the entry-level Toyota Corolla will make 28 mpg in the city and 36 mpg on the highway. Drivers who strive for unrivaled fuel-economy ratings will love the Toyota Corolla LE Eco. Fuel-efficient Corolla LE Eco models incorporate a refined 140-horsepower 1.8-liter four-cylinder engine with Valvematic technology that is mated to a Continuously Variable Transmission. With a fine-tuned suspension, 15-inch steel wheels, a rear spoiler, upgraded aerodynamics and low resistance tires, the LE Eco will achieve an impressive 30 mpg in the city and 40 mpg on the highway. Award-winning safety is a highlight of the 2018 Toyota Corolla that families have come to love. Toyota Safety Sense technology is a standard fixture on the Toyota Corolla spec sheet that adds a Pre-Collision System with Pedestrian Detection, Lane Departure Alert with Steering Assist, Dynamic Radar Cruise Control and Automatic High Beams that make the Corolla an IIHS Top Safety Pick+. Visit Downeast Toyota today to get behind the wheel of the 2018 Toyota Corolla!